What is an Amazing Rally? It’s a gimmick rally which is a cousin to the traditional Time/Speed/Distance Rally, but with a twist. Instead of being concerned with Time and Speed, teams are given questions to answer along the route based on the passing scenery. Additionally, several challenges are setup along the route, giving teams a chance to get out and stretch and test their skills against the other teams in fun and amazing ways. Each team consists of a car, a driver and a navigator. So put your team together and come prepared to be amazed. The starting point for “AR9” will be the parking lot South of Porsche Salt Lake City. Please arrive with a full tank. Sign in and car staging will begin at 9:00 AM and will close at 9:45 AM as we begin a meeting of all the teams. Remember, this is not a race. The finish line for the rally will be in the showroom of Porsche Salt Lake City (1045 S State See map below). Snacks and beverages will be available beyond the time of the last car arriving. If you are attending the social only, plan on arriving between 4:30 and 5:00. Appetizers will be followed by dinner (around 6 PM), Awards supplied by Porsche Salt Lake City. Cost is $60 per team for PCA members, and $70 per team for non members. Or if you can’t make the rally but would like to attend the social afterwards, you can register for that at $30 per person. This year we will be raising money for Huntsman Cancer Foundation. Not just during the amazing rally but throughout the season at major IRPCA events. In 1995, the Jon and Karen Huntsman family started Huntsman Cancer Foundation (HCF) to ensure the future of cutting-edge research at Huntsman Cancer Institute (HCI). HCI is the region’s only NCI-Designated Comprehensive Cancer Center and cancer specialty hospital. It is not owned by the Huntsman family, but rather is a gift to the citizens of Utah and beyond, and 100% owned by the State of Utah. In 2005, HCI was named the official cancer center of the state of Utah. One family cannot do it alone, which is why HCF relies on the generosity of individuals, corporations, and community groups. 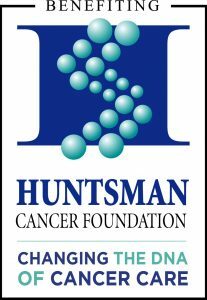 Huntsman Cancer Foundation’s sole purpose is to raise funds to support the mission of Huntsman Cancer Institute (HCI) and is dedicated to ensuring excellence in these endeavors through the development and prudent stewardship of private resources. All HCI fundraising initiatives happen through Huntsman Cancer Foundation, which is a public, functionally integrated, Type III 501(c)(3) organization. Thanks to the ongoing generosity of the Jon M. Huntsman Family, 100% of your donations further the treatment, education and research being conducted at Huntsman Cancer Institute. Registration is open at motorsportsreg.com.